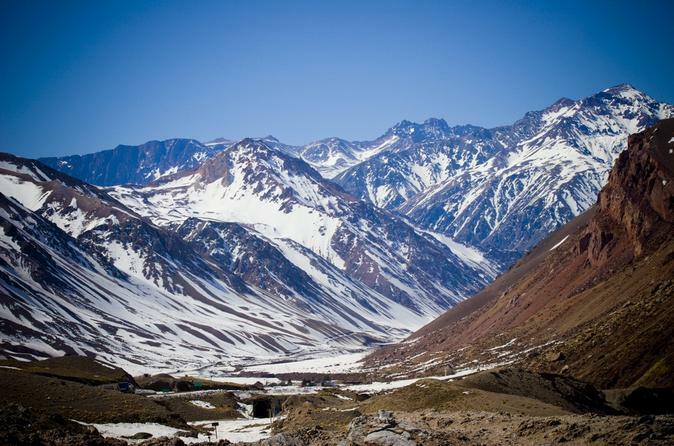 Experience the best of the Mendoza Province’s Andes region on this day trip that will take you along part of the Pan-American Highway toward the Chilean border. With an experienced guide, you’ll make your way to the highest mountain in both North and South America – Aconcagua – where you'll visit a lookout point for awesome photo ops. Stop along the way at various historical and cultural sites including Puente del Inca, Potrerillos and Las Cuevas. It’s a day of breathtaking natural scenery that can only be found in the Andes! With its rolling vineyards set in the foothills of the Andes, the Mendoza wine region is unlike any other wine region on earth. Experience it with a local guide on this full-day wine tour! 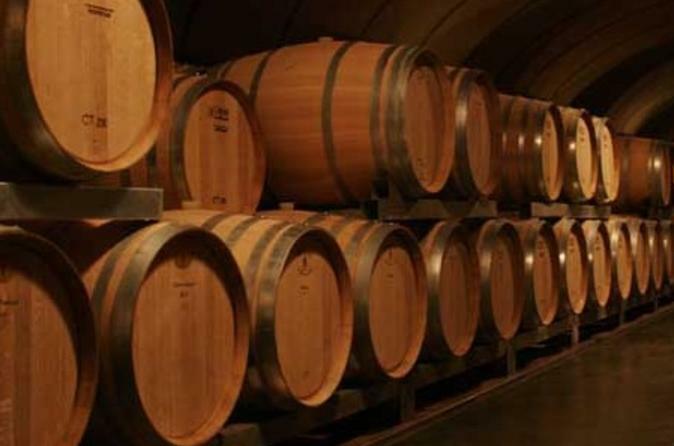 You’ll visit three wineries in the Luján de Cuyo area, where you’ll learn about the winemaking process of one of South America’s most important wine countries and, of course, sample several different wine varieties, including Mendoza’s best-known grape, malbec. Sip wine and learn about Argentina's winemaking practices on this luxurious, full-day tasting tour in Maipú. Accompanied by an expert guide, visit three top wineries –Trapiche, SinFin and Familia Zuccardi – all central to this famous wine-growing region of Mendoza. You’ll delight in the complex aromas and flavors accompanying several tastings, and enjoy a gourmet, 3-course lunch paired with Santa Julia wines! Numbers are limited to 18 people on this tour, ensuring you'll spend the day with like-minded wine lovers. 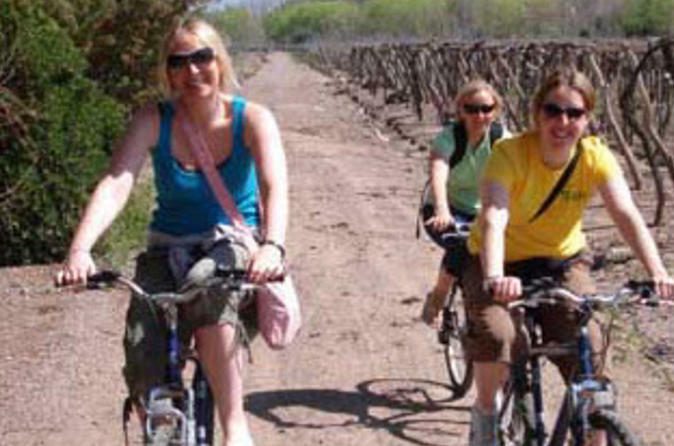 Mendoza wine country is best seen by bike, when you can cover a lot of ground while enjoying the fresh air and sunshine! 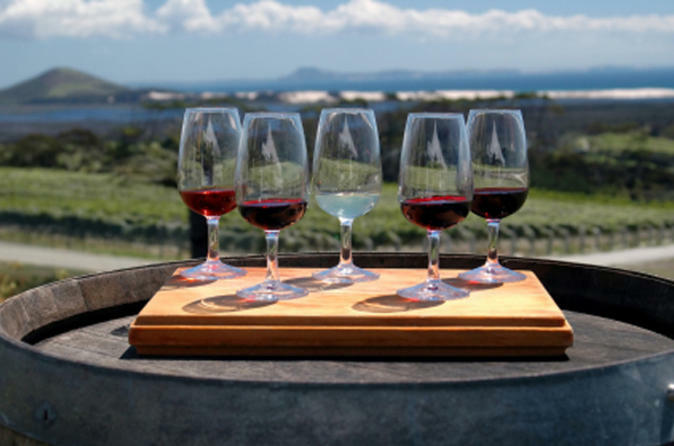 On this full-day bike tour, head out through the vineyards with a knowledgeable guide to three wineries, where you’ll learn about the winemaking process in one of South America’s most famous wine regions. Of course, you’ll enjoy wine tastings and lunch, too! Indulge in a day of ultimate relaxation at Termas de Cacheuta, a spa that is home to Argentina’s only grotto sauna. 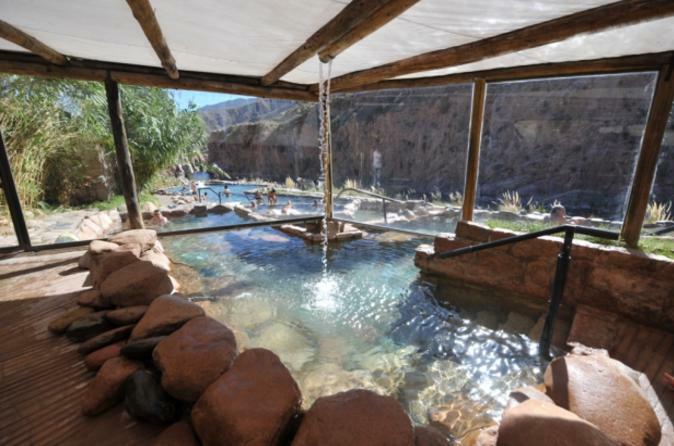 Located in the Andes mountains beside the Mendoza River, the luxurious facility offers indoor and outdoor thermal spas, stone pools set to various temperatures, and mud baths. Between these wellness activities, dig into a hearty Creole buffet lunch and sprawl out on a lounge chair. Round-trip transport from most Mendoza hotels is included. 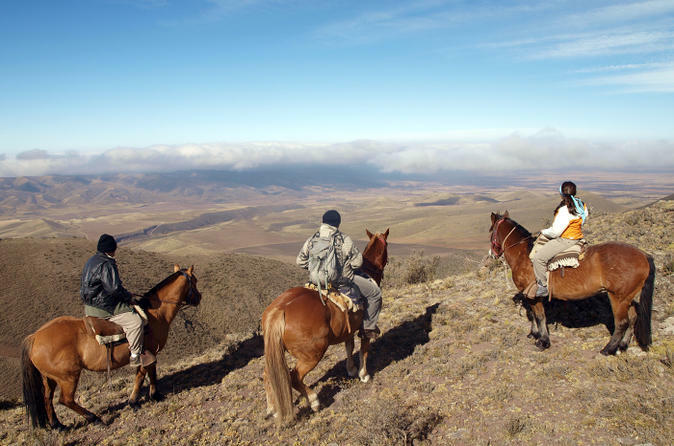 This full-day tour takes you horseback riding in the Uco Valley, located in the middle of the Andes mountain range. Discover a unique Argentine landscape from the foothills of the Cordón del Plata (Silver Cord), and follow your experienced guide on a 3.5-hour ride while magnificent condors fly above. Enjoy breakfast at Quebrada del Condor (Condor’s Gorge) and complete your tour with a barbecue lunch. Round-trip hotel transport by minivan from Mendoza is included. Numbers are limited to 12 people, ensuring a personalized experience with a small group. Travel from Mendoza to the town of Potrerillos to go rafting down the Mendoza River. 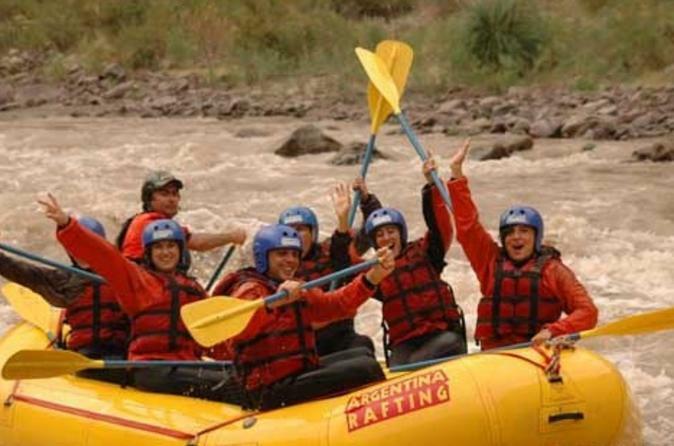 Perfect fun whether you’re a seasoned rafter or it’s your first rafting trip, this rafting tour is a great way to enjoy the beautiful scenery of the Mendoza area. All safety equipment is provided. 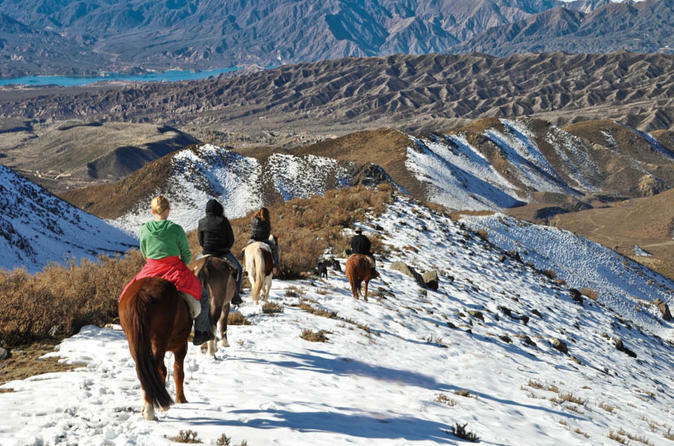 The Real Gaucho Day is an unique adventure in the heart of the Andes. It is a full day living with an authentic Argentinean cow-boy.